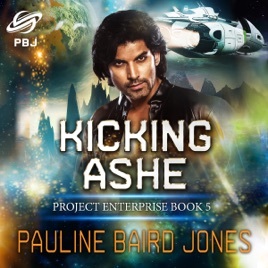 Time has dumped Ashe on a dying planet, and she needs to figure out why before she ceases to exist. Or gets vivisected by some Keltinarian scientists. Or worse. Vidor Shan might help - since someone somewhere is trying to hose him, too - if she can convince him to trust her. Probably shouldn't have told him that only someone he trusts can betray him. Also wouldn't mind if he kissed her on the mouth. Vid would love to kiss the girl, but his brother is lost, he's got hostile aliens on his tail, and the stench of betrayal all around him. Can he trust the woman who told him to trust no one?